FT5W30PROG1 TITAN GT1 PRO GAS SAE 5W30 ACEA C3 API SM BMW LONGLIFE-04 MB-APPROVAL 229.51 VW 502 00 ACEA A3 / B4 CHEVROLET FIAT 9.55535-G1 OPEL 1 л 263.24 грн. FT5W30PROG4 TITAN GT1 PRO GAS SAE 5W30 ACEA C3 API SM BMW LONGLIFE-04 MB-APPROVAL 229.51 VW 502 00 ACEA A3 / B4 CHEVROLET FIAT 9.55535-G1 OPEL 4 л 882.11 грн. 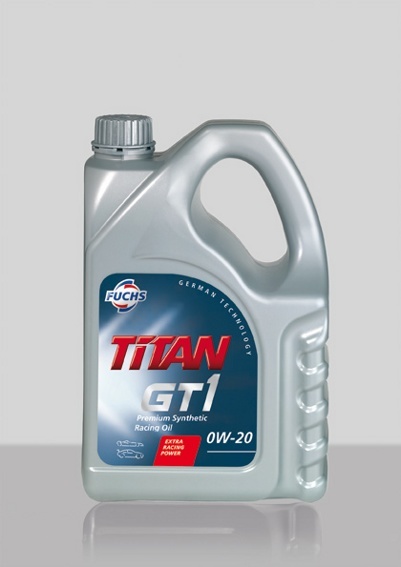 FT5W40PROG1 TITAN GT1 PRO GAS SAE 5W40 ACEA C3 API SM BMW LONGLIFE-04 MB-APPROVAL 229.31 VW 502 00 ACEA A3 / B4 CITRO?N FIAT 9.55535- H2/ N2/ M2/ S2 /Z2 FORD PEUGEOT RENAULT 1 л 246.69 грн. FT5W40PROG4 TITAN GT1 PRO GAS SAE 5W40 ACEA C3 API SM BMW LONGLIFE-04 MB-APPROVAL 229.31 VW 502 00 ACEA A3 / B4 CITRO?N FIAT 9.55535- H2/ N2/ M2/ S2 /Z2 FORD PEUGEOT RENAULT 4 л 812.84 грн. 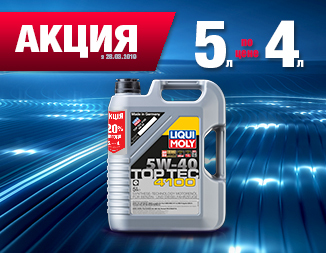 FT10W40PROG1 TITAN SYN PRO GAS SAE 10W40 ACEA A3 / B4 API SL MB-APPROVAL 229.1 BMW SPECIAL CHEVROLET FIAT 9.55535- G2 VW 500 00 1 л 189.35 грн. FT10W40PROG4 TITAN SYN PRO GAS SAE 10W40 ACEA A3 / B4 API SL MB-APPROVAL 229.1 BMW SPECIAL CHEVROLET FIAT 9.55535- G2 VW 500 00 4 л 665.05 грн. FT0W20GT1 TITAN GT1 SAE 0W20 ACEA C2 ACEA A5 / B5 API SL ISAC GF-4 1 л 524.19 грн. FT0W20GT4 TITAN GT1 SAE 0W20 ACEA C2 ACEA A5 / B5 API SL ISAC GF-4 4 л 1942.8 грн. FT5W30PROC21 TITAN GT 1 PRO C-2 SAE 5W30 ACEA C2 ACEA A1/B1/A5/B5 API SM/CF	CITROEN FIAT 9.55535-S1 PEUGEOT 1 л 241.31 грн. FT5W30PROC24 TITAN GT 1 PRO C-2 SAE 5W30 ACEA C2 ACEA A1/B1/A5/B5 API SM/CF	CITROEN FIAT 9.55535-S1 PEUGEOT 4 л 786.66 грн. 600667955 TITAN GT 1 PRO C-4 SAE 5W30 ACEA C4 RENAULT RN0720 1 л 185.04 грн. 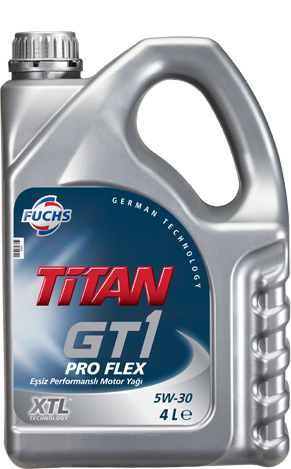 600756314 TITAN GT 1 PRO FLEX SAE 5W30 BMW LONGLIFE-04 MB-APPROVAL 229.51 VW 502 00 VW 505 00 VW 505 01	ACEA A3 / B4 FORD M2C917-A GM-LL-A-025 GM-LL-B-025 1 л 165.38 грн. 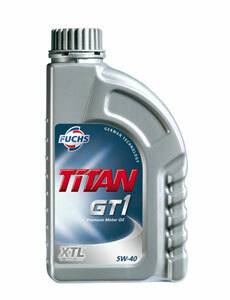 600756352 TITAN GT 1 PRO FLEX SAE 5W30 BMW LONGLIFE-04 MB-APPROVAL 229.51 VW 502 00 VW 505 00 VW 505 01	ACEA A3 / B4 FORD M2C917-A GM-LL-A-025 GM-LL-B-025 4 л 585.86 грн. FT5W40GT11 TITAN GT1 SAE 5W40 ACEA C3 API SN/SM/CF FORD M2C917-A BMW LONGLIFE-04 MB-APPROVAL 229.31 PORSCHE A40 RENAULT RN0700 RENAULT RN0710 VW 502 00 VW 505 00 VW 505 01 ACEA A3 / B4 FIAT 9.55535-S2 1 л 232.84 грн. 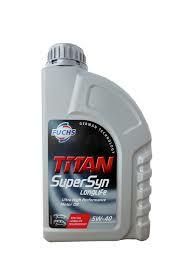 600481636 TITAN Supersyn Longlife Plus SAE 0W30 ACEA A1/A5/B1/B5 VW 503 00/506 00/506 01 1 л 285.16 грн. 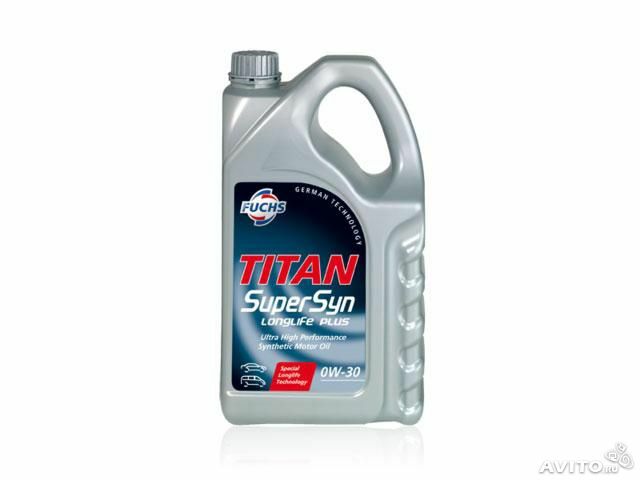 600640927 TITAN Supersyn Longlife Plus SAE 0W30 ACEA A1/A5/B1/B5 VW 503 00/506 00/506 01 4 л 1061.23 грн. 600889449 TITAN Supersyn Longlife SAE 0W40 ACEA A1/A5/B1/B5 BMW Longlife-01FE MB 229.5 Porsche 40 AMG Aston-Martin FORD M2C937-A 1 л 198.76 грн. FT5W40SLL1 TITAN Supersyn Longlife SAE 5W40 ACEA A3/B4 API SM/CF MB 229.5 BMW Longlife-01 Porsche A40 RN0700/0710 VW 501 01/502 00/505 00 GM-LL-B-025 1 л 240.65 грн. 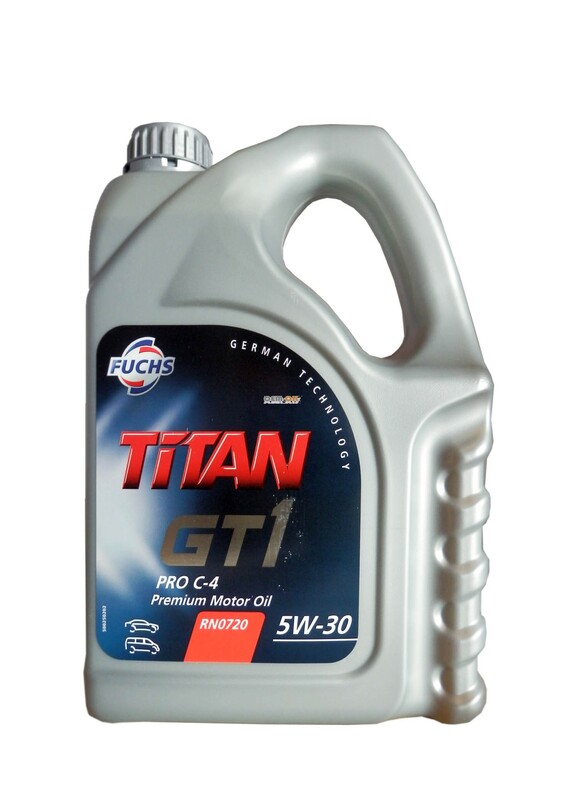 FT5W40SLL4 TITAN Supersyn Longlife SAE 5W40 ACEA A3/B4 API SM/CF MB 229.5 BMW Longlife-01 Porsche A40 RN0700/0710 VW 501 01/502 00/505 00 GM-LL-B-025 4 л 854.75 грн. FT0W30SS1 TITAN Supersyn SAE 0W30 ACEA A3/B3/B4 API CF/SL MB 229.3 VW 502 00/505 00/503 01 BMW Longlife-01 PORSCHE BMW Longlife-98 1 л 348.49 грн.